Every since mainstream science has admitted the existence of lucid dreaming (as if it needed to say that for it to exist), interest in it has sky rocketed, and there are forums and groups talking about it around the net. Out of body experiences, however, science studies but doesn’t allow into its cannon. It’s considered a sort of a hallucination/dream, not an OBE, because if it were, it would cross the material line that science has drawn and would give consciousness independence from the body. Any chat or forum about lucid dreaming will show, not only it’s closely related to OBE, but also that line, and the science-minded and the spiritual-minded are arguing over it. I’ve gone out of groups because I just don’t want to argue with the mind that uses science as its sole authority for an investigation of reality, often denying or explaining away their own personal experience so as not to be heretical to their beliefs. The spiritual-minded seems to have a tendency to the opposite, too easily accepting its personal experiences as this and that without rigorously testing the field, and so I stopped commenting in groups. This present article on OBE, while it doesn’t give proof that I would accept as clear and certain evidence the consciousness is actually leaving the body, it’s one of the most powerful I’ve had, because of the dream experience that ends it, but it’s one of only 3 or 4 OBEs in my life where I’m out of body in outer reality without little or no dream or inner elements present, what I’d call being an independent invisible spirit in the material world. An article I’ve posted on my personal blog, “The Epic of Man”, is one that I do take as proof I’m going out of the body and not just having a ‘strange dream’, and you would too if you have confidence I’m not lying or exaggerating, but only there time travel is involved, and it’s inner body travel, not a journey in the outer world, though it more substantially shows that the consciousness can leave the body and travel than in a regular OBE. If you chalk it up to ‘coincidence’, then you’re not only grasping at straws to keep your faith in the materialism of science intact, you’ve crossed that line where you put your beliefs over reason itself. Read it. Returning to the story of this OBE, I’d gone with some friends to a state natural area in Texas called Enchanted Rock, a dome-shaped “425 foot pink granite batholith”[i] that just juts up out of the landscape almost like something from another world. Local Indians, the Tonkawa, had named it that because of a legend that a Spanish conquistador had cast a spell on it, making ghost fires glow at the top, and because they believed spirits roamed the place, and if you hear the haunting winds whistling around it, you might yourself feel that to be true. Whatever’s the case with why they named it, or the story we have today why they did, I believe the Native Americans knew the place to be a portal, a power spot on the earth where the fence of matter has a hole in it, making it possible to travel ‘elsewhere’. Studying ancient literature about the exploration of consciousness, what I did to get a handle on what I’d experienced with that demon and other inner experiences I was having, I found those presences that present themselves in cataleptic trance and lucid dream to be called guardians of the threshold, what you have to overcome in order to go further in your exploration, like a test you have to pass, whatever they themselves think they’re doing there, but I never have been able to get back to such mastery as to be able to lay down and induce the state. Now I’m doing sadhana, spiritual practice, and I don’t focus on ‘powers’, as they are called in yoga, and so both my experience of cataleptic trance and OBE have waned, but when it’s called for by my practice, and it seldom is, I leave my body, usually for a specific purpose. Getting back to that enchanted rock, I had no trouble going out of my body, something you learn if you have enough practice doing it. I simply use my will and rise up out of it. I was just above my body and had a thought about seeing the tent from the outside, and suddenly I found myself well away from the tent up closer to the mountain about 20 meters above the ground. In inner exploration (though here it’s more like being on the inside in outer reality) where you put your will, which might just be thinking about something or someone, is where you will go or attempt to reach, why it takes such focus and concentration to explore consciousness. You really have to have a handle on it. 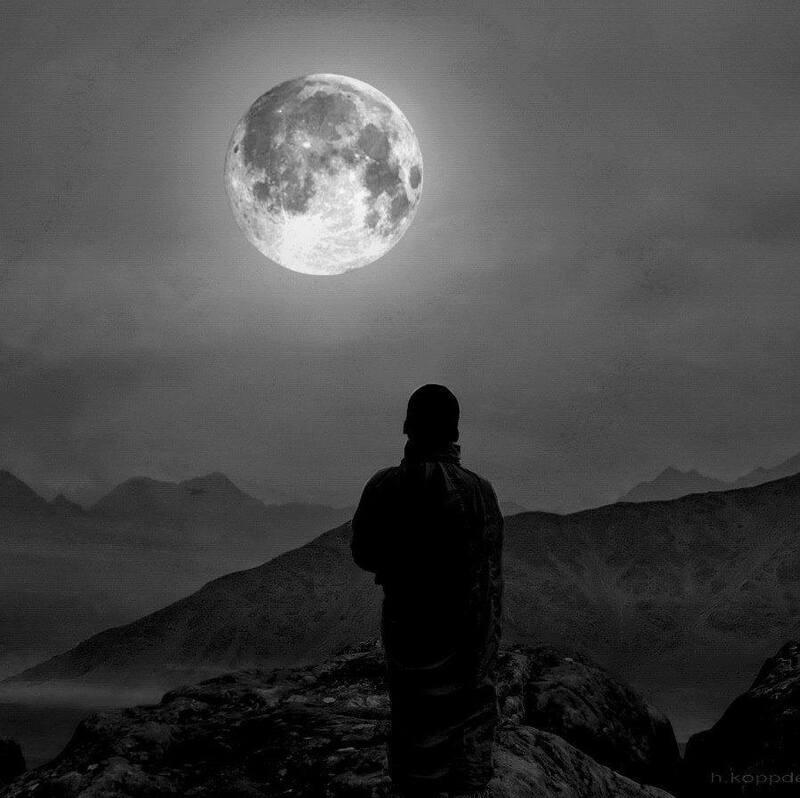 The moon was nearly full, waxing or waning I don’t remember, and I became excited when I saw that I’d done it, was a free spirit floating in the material world, what I figured I had to be in order to leave the earth. I’d tried to go just into space free of the earth in a lucid dream a couple of years before, and I realized I’d have to do it in an complete OBE. I didn’t make it then. As I got to the outer atmosphere everything disintegrated, and I awoke in my bed. What I hadn’t yet fully grasped, though, was the threshold matter. There are thresholds other than the hostile powers, and one quite significant one is leaving the room or enclosed space you’re in. If you don’t have enough focus, grasp on your consciousness, you simply go out of there and into a lucid dream. Obviously leaving the earth is a much larger and more difficult threshold to master, and though I’ve had dreams of being in space or on the moon or Mars, I’ve yet to cross that threshold and actually leave the earth intending consciously to do so. I don’t know the difference between dreaming of that and doing that in waking reality while in the dream or inner state, such as an OBE, but I do feel there is a large or small distinction between the two, but I can’t discount the possibility of finding myself off the earth in dream and really being off it. I suspect our view of the matter is too rigid, and that there aren’t clear cut lines between the planes as we believe. Nature, whether inner or outer, doesn’t draw distinct lines between things like we do. Things often sort of blend into something else, though there are definite boundaries too. The scene before me with that looming moon was fantastic. As a ‘spirit’, the moonlight seemed to be what the scene was about, not what was creating it but its focus. I looked around me and, to my slight disappointment, saw that there was one difference with waking reality. Though my friends in the tent were all sleeping as though the tent was there, curled around its walls, my body too, there was no tent. Other than that I was the free spirit I wanted to be. I looked up at the moon and willed myself up, going up very quickly, faster and faster, and just as had happened in that aforementioned lucid dream, as I got to the threshold of space the scene before me disintegrated, but I don’t think it was a lucid dream I found myself in but a dream experience, what in the integral yoga means you actually go somewhere in the inner fields and don’t just dream you do, intending to or not. I found myself looking at a clearing in an old growth ancient forest, the full moon shining upon the scene illuminating it with moonlight’s coolness. I didn’t have a physical presence. Sitting in the middle of the clearing was a beautiful middle aged woman. Her hair style was quite distinctive, very intricate braiding that’s too complicated to describe, and she wore simple but adorned natural clothing. She was sitting on some sort of chair or stool I couldn’t see because all around her and on her were the animals of the forest, birds, butterflies, squirrels and things on her body like living decorations, larger animals as near to her as they could get, as it was evident they loved her and she them. The clearing was full of animals, predator and prey alike, but there was no strife. They just wanted close to her, and so did I. She was smiling the sweetest and wisest smile I’ve ever seen, smiling at me, and with mirth sparkling in her eyes she said simply, and I remember her exact words, “You’re on the right path. Don’t turn to the right or left, and take baby steps.” Then the scene faded suddenly, and I awoke in my body inside the tent. The path I was on, and still am, though I’m a sadhak of the Integral Yoga of The Mother and Sri Aurobindo, was what I called at the time the personal growth process towards wholeness and healing, and my focus was inner exploration. It would bear mentioning that for me I didn’t take up the spiritual path for realization but for healing with an impossible disorder I relate in poems, stories, and articles on my personal blog. 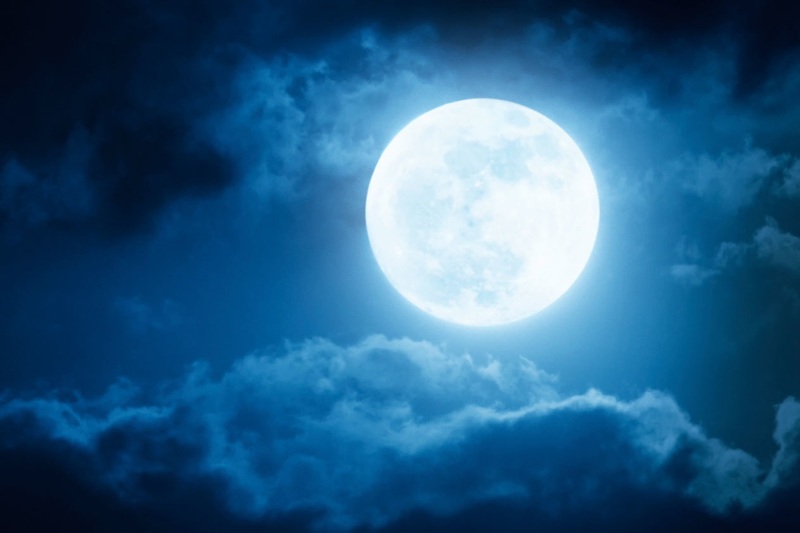 In order to prepare for the moon shot, I just stopped all vital indulgences, rigidly, the vital in our yoga the life-body of the impulses, desires, emotions, and preferences, what usually in a sadhana gives the trouble, more than the mind and body, the two other instruments of the lower being. My main indulgence at that time was grass, and I’d stopped smoking it for the duration of my attempt to reach the moon. Grass for me has been an indulgence, accelerator, and a medicine. The powerful spiritual experiences I had at the beginning of my sadhana were partly triggered by it, except the finding of the soul, where I wasn’t stoned because I was deep inside a night’s trance. I don’t call it a sleep because, though it’s the same state, there I was conscious. Lucid would neither be what I was because I was no longer in dream but had gone all the way through it via a dark ‘tunnel’ and was no longer in this universe or this type of existence but in spirit, the well of soul, a journey I took some months after this OBE. The story is in the works and will be posted on this blog upon its completion if I do actually complete it. Lately, pot has only been an indulgence and a medicine, the latter since it stops nausea and vomiting and eases stomach pain, and I’ve have a serious mysterious stomach condition. It also helps accelerate having spiritual experiences, if you know how to use it that way, but not for a permanent realization, though anything is possible in the wide conditions we find ourselves in. I see it now more as an immaturity than as an aid. My muse said, when it first started some 15 years ago, when I was a daily pot smoker, that “pot can take over any nature there is,” and I’ve found that to be true. The Mother doesn’t like it, and so, after not listening to her about it all these years, I’ve stopped using it even for a medicine, learning to rely on inner things as opposed to outer remedies, mainly the Mother’s force, what Douglas inspired me to do, since he’s looking into that for resolution of his chronic pain. It’s not a denial. It’s simply time to do that. When you reach such times with indulgences, you simply know it. The earth mother, whom I feel that woman was, wasn’t telling me to give up pot at that time, or anything else. She was saying something in very simple language that I can’t explain no matter how many words I use: neither denying your desires nor simply indulging them. My latest story on my personal blog, “Clambers on the Mountaintop,” about posting poems on Mt. Sinai in Egypt, goes into that idea in great detail, but, as much detail as I give, I still can’t put that idea into concrete language, but the attempt, I feel at least, is worth the read. That story takes place some years after this one, and it was the earth mother that planted the seed that had me planting poems in Jerusalem, Mt. Sinai, and the pyramids at Giza. Now those seeds and poems are flowering, and I understand what she told me, but I can’t give you that understanding. I can only tell you the story, taking my time to do that, 25 years, because the last thing she said is as important as the other two, what I needed to hear because I wanted the moon, and wanted it now. You see I didn’t get it. I may try again at some point, but when and if I do it’ll be the right time. [ii] Douglas, who I share this blog with, discusses this on the post “Bed Hopping With the Hostiles”. [iii] That story’s also related on this blog, “Breaking Silence, Careful to Stay an Apparition”. As a young teen, I would often hear, right at the stage of falling asleep, what I called ‘reading the book’, someone speaking spiritual philosophy deep inside my head. I never could remember a word the next morning. After getting a rather poetic education, majoring in English and learning to translate Classical Greek verse into English verse, and a period of travel after college, mostly as a vagabond, in one instance posting my poems on holy sites in the old city of Jerusalem and other places East, a woman who had a writer’s cabin in the hills around Ashland, Oregon gave me the cabin for a whole winter, 5 months, so I’d have a place to live because I was homeless (normally it was a 6 week stay, given as a fellowship). All the glory a man might. I took those beginning lines and made a poem out of them, thinking that’s what many poets do and just don’t say anything. I had no idea your muse, what I call it, not hearing things, could give you a whole poem and edit it while you’re ‘listening’ it and after. It took another few years before I heard more lines, which was in Cuzco, Peru, about 15 years ago, but the flood started in Brazil a few months later, and it’s continued to this day. There’ll come a day when floods. Almost anytime I sit or lie back inside myself, if it’s long enough to get behind the waking mind and into ‘twilight’, I just automatically start hearing and seeing muse, and only sometimes it’s a poem; most of the time it’s a host of things: personal guidance, remote viewing, subconscious stuff, the imitation vision, the outright hostile vision, and I can continue some, only with me whatever I hear is always in poetic form, though only rarely is that at or near poetic quality. “Yes,” we sing in darkness’ lair.